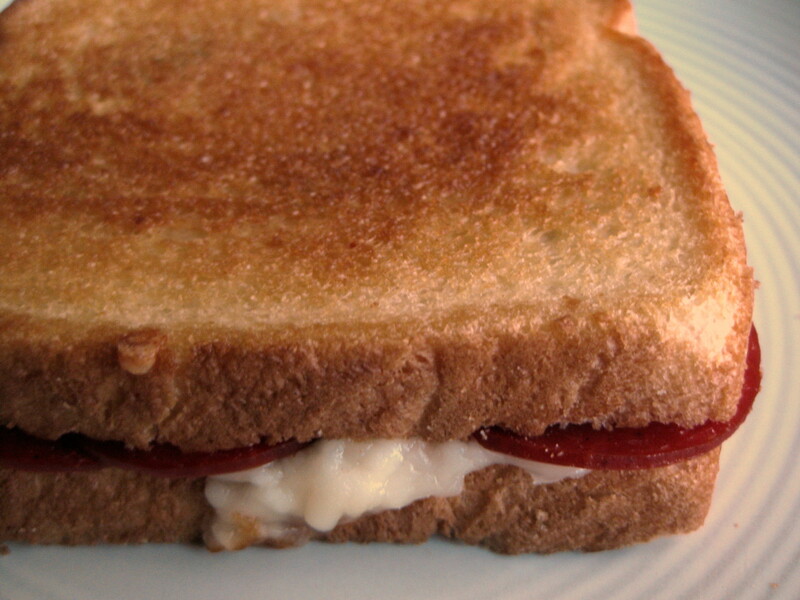 Pepperoni pizza + grilled cheese sandwich = Really? You even have to ask? 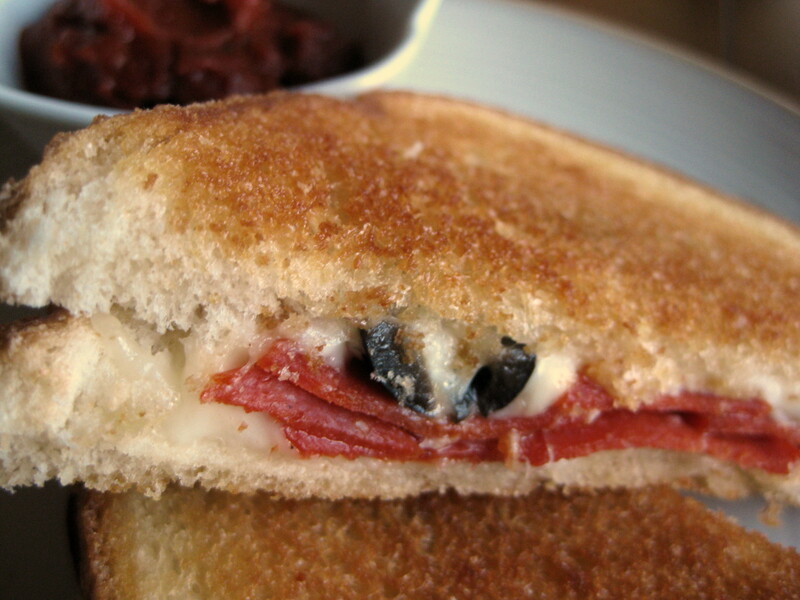 This delightful lunch provides the spicy, tangy flavors of pizza wrapped in the buttery crunch of a grilled cheese sandwich. The salami sandwich I posted yesterday came out a little oily, so I used turkey pepperoni slices instead of regular pork pepperoni, and the lower-fat substitution did the trick. 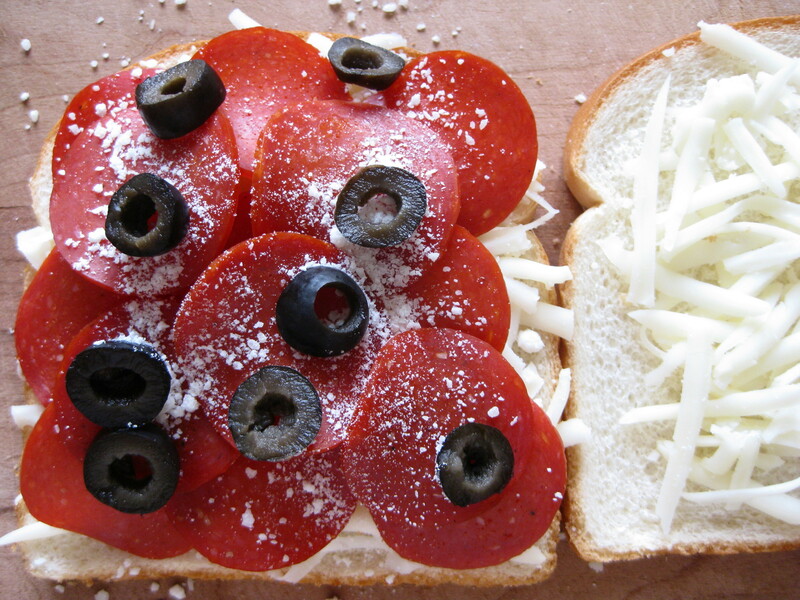 Turkey pepperoni has the flavor and texture of pork pepperoni, but with no neon-orange oil slick.